It’s not an easy place to get to. It might not be a trip for an amateur tourist. The travel takes several hours consisting of a combination of local and bullet trains plus a pretty pricey taxi ride. 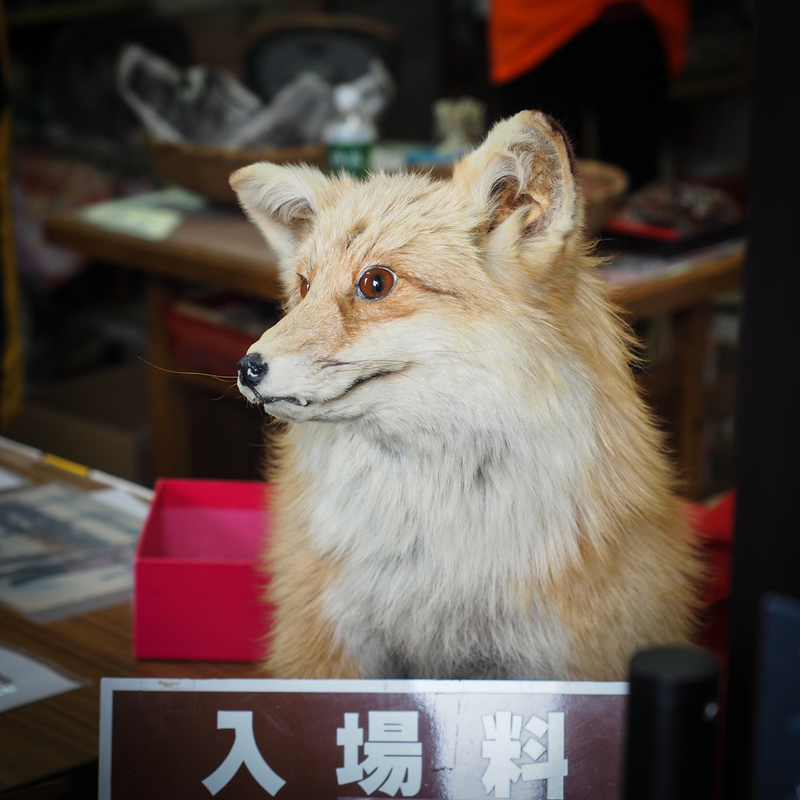 But if you’re one of those people who would do almost anything to cuddle up to a fox or two….you manage to find your way to Miagizao Fox Village. The admission fee is about $10 to get in, then $4 to have the “Hug Experience” (how could you pass that up), and $1 for food. So luckily the cost at Fox Village is low, it’s just the getting there that makes it so pricey. For the $4 of the “Hug Experience” you get approximately 3 minutes of cuddle time “depending on the mood of the fox”! 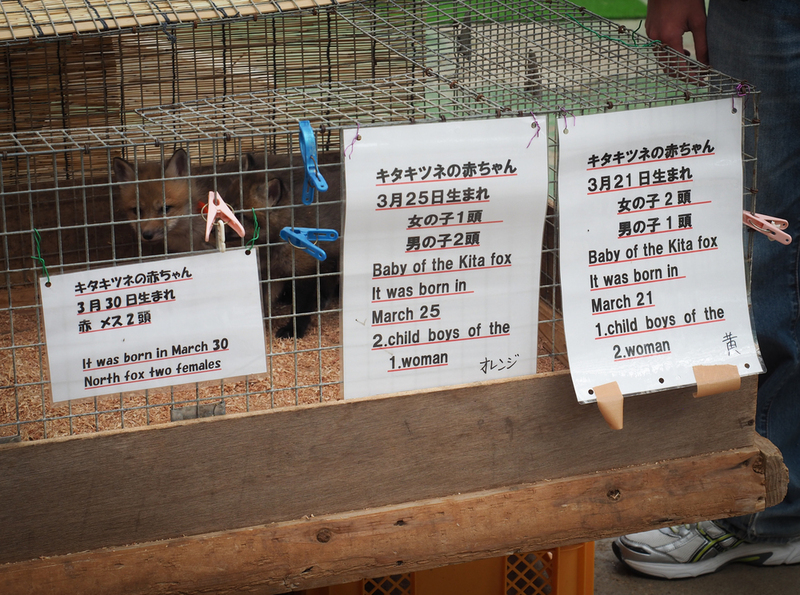 They have a few specific foxes that are especially tame that they use for the hug sessions, and also the babies. I was lucky that I came at a time when there were so many new babies. 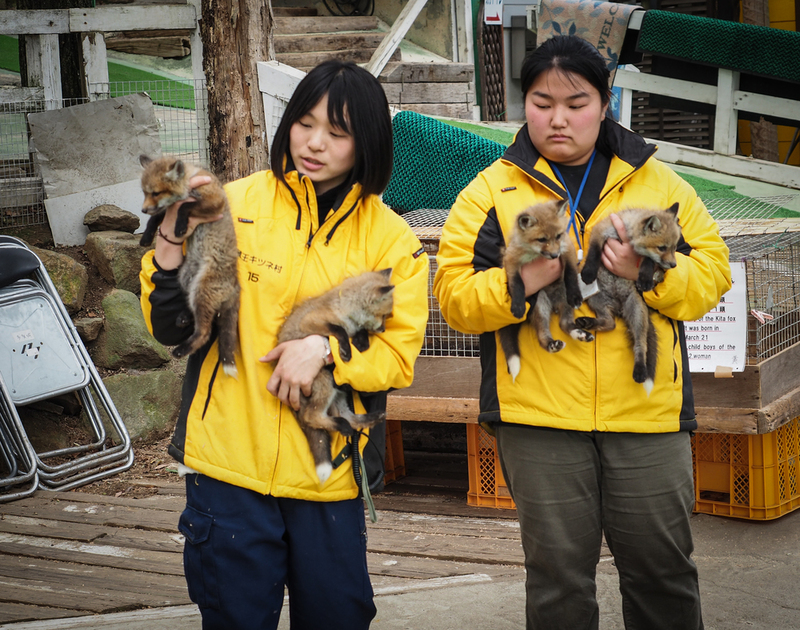 Before you get to cuddle the fox, you have to put on one of their jackets. 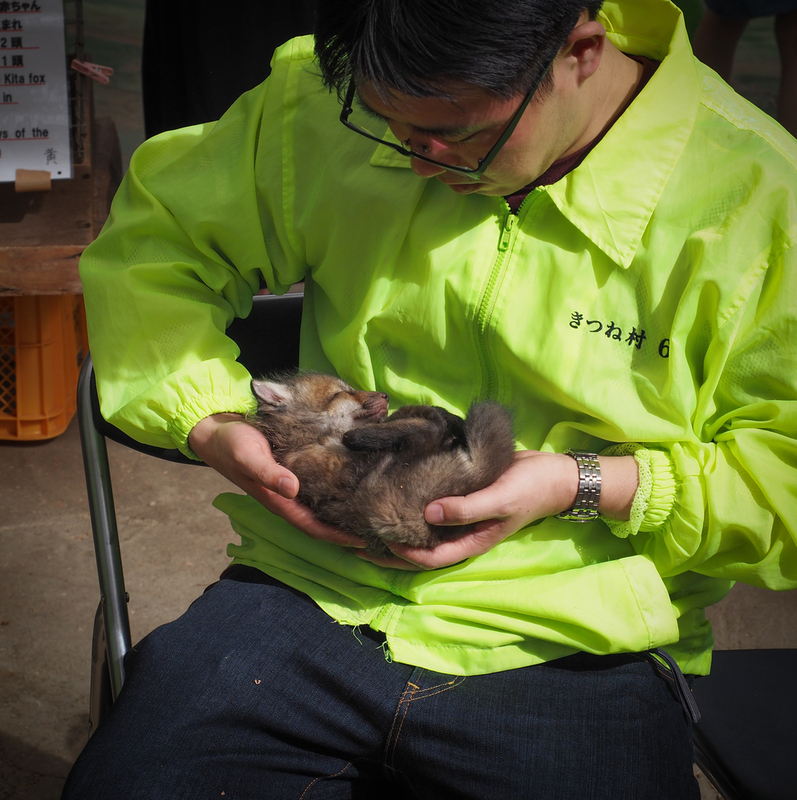 This seemed strange at first because the jackets were ugly, fluorescent green, but after holding the fox and seeing how much hair it left behind and the odor, I was quite glad to have the jacket on. 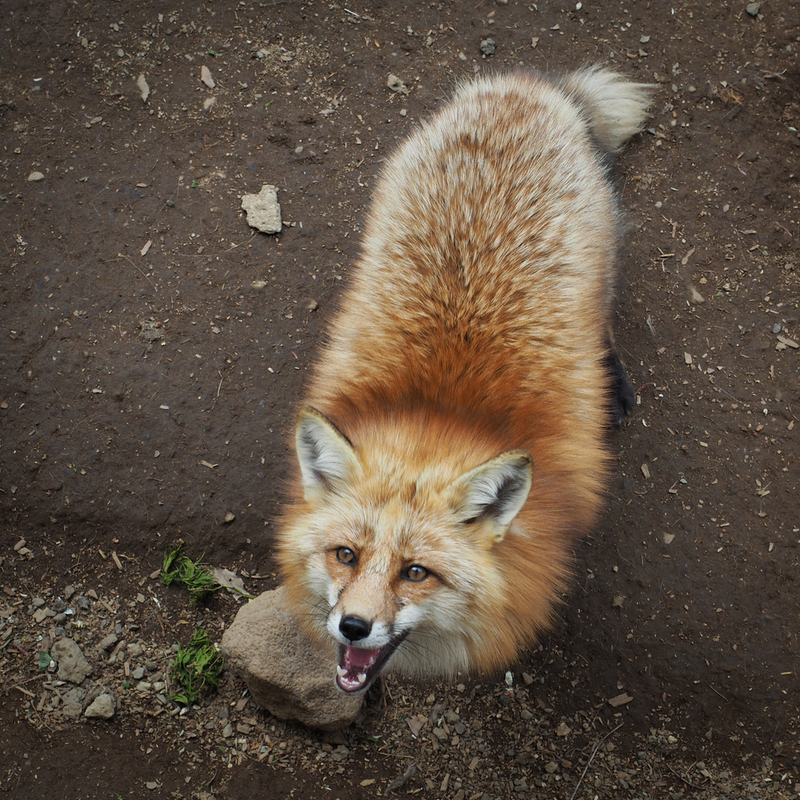 Foxes scent mark so they have a strong musky, urine kind of smell….reminded me of when I had pet ferrets. 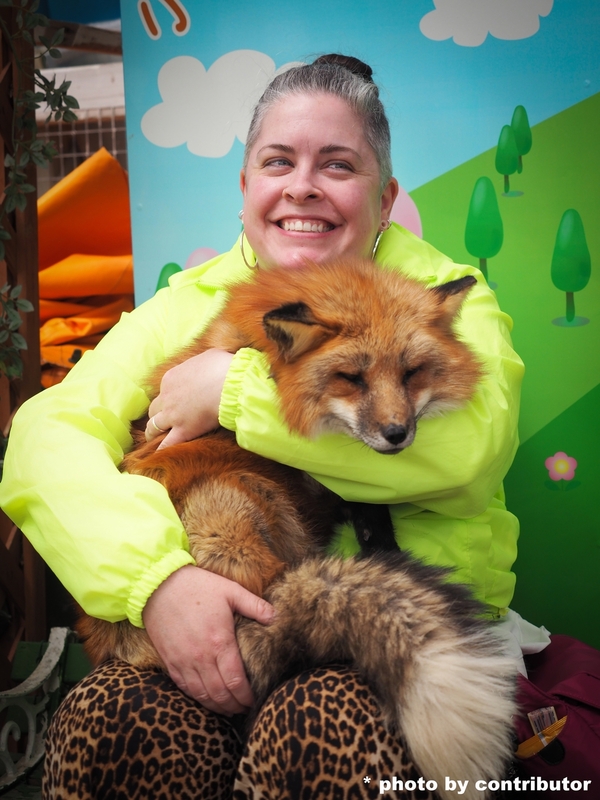 Even though it was a little stinky, I was very happy to cuddle and love on my new fox friend during my “Hug Experience”. Inside of the main section is a ‘feeding area’ which is a raised platform that is fenced. 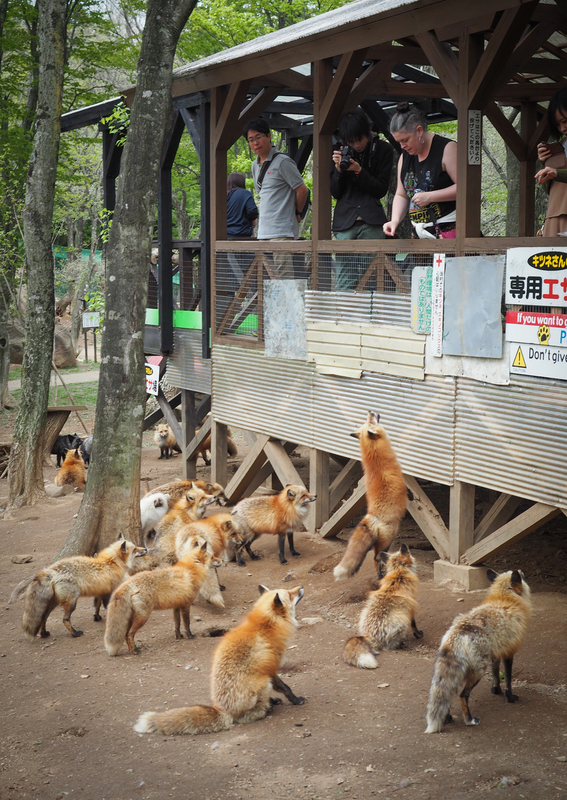 This is the only place in Fox Village where you are allowed to feed the foxes, and you throw the food down to them, never from your hand. Around the feeding area is where their hierarchy can be seen. 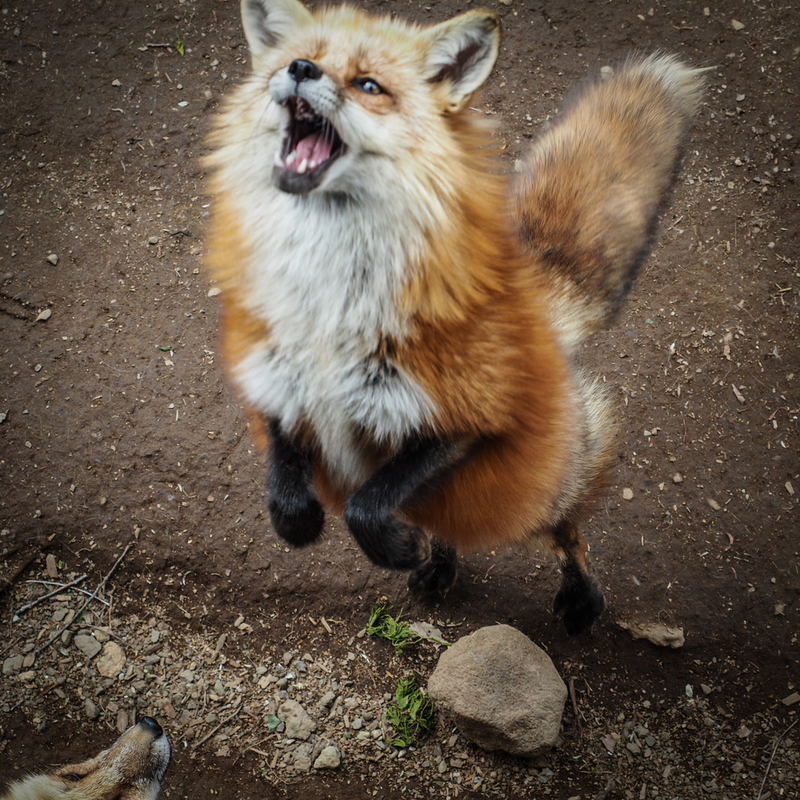 You can see which foxes outrank others in loud, toothy displays of dominance. 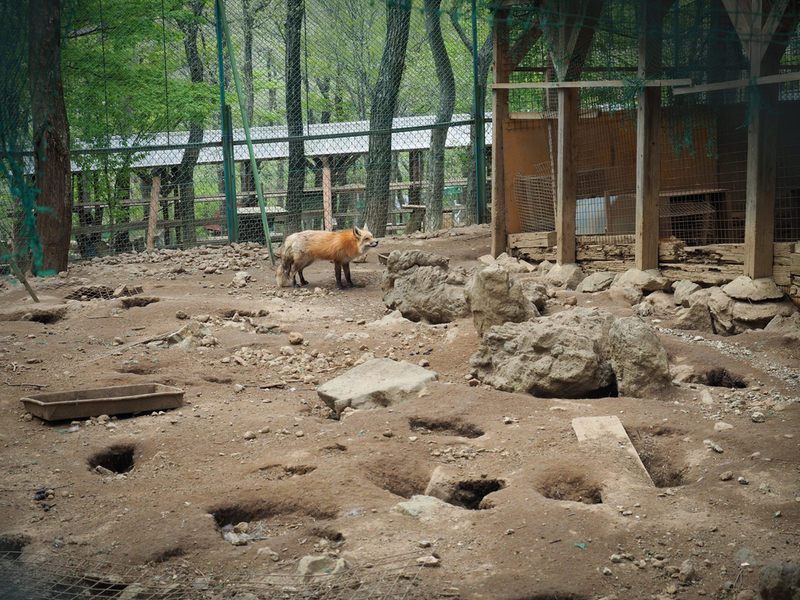 There used to be that terrible song “What does the fox say…. ?” Well, now I know, and it sounds like they’re being murdered. 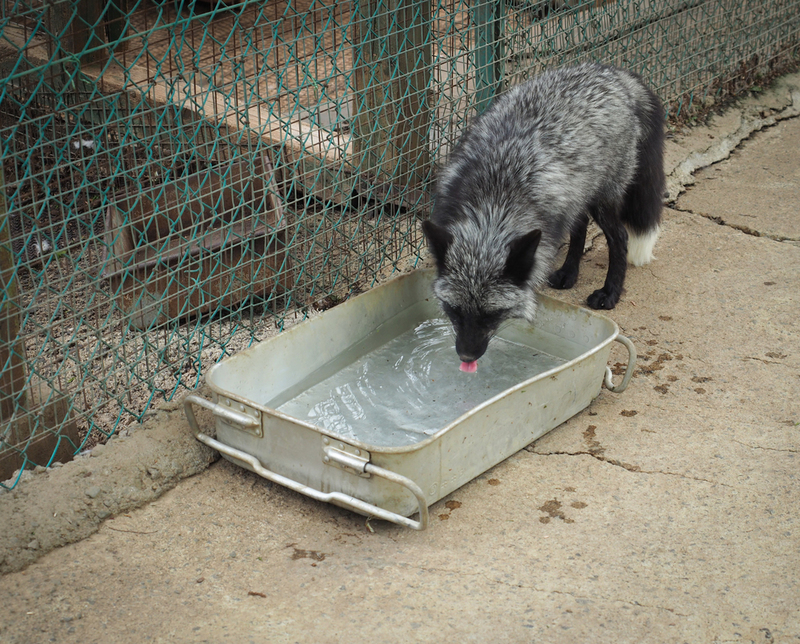 There are six different types of foxes there, Red, Silver, Blue, Platinum, Shadow, and Cross. They were all very cute and all very lazy. 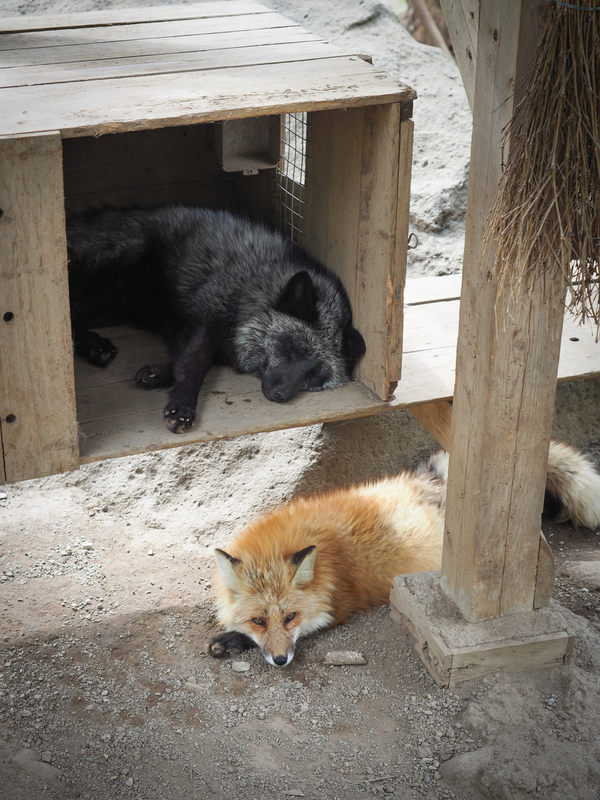 If they weren’t over by the feeding area eating….they were curled up in a box or hole sleeping. 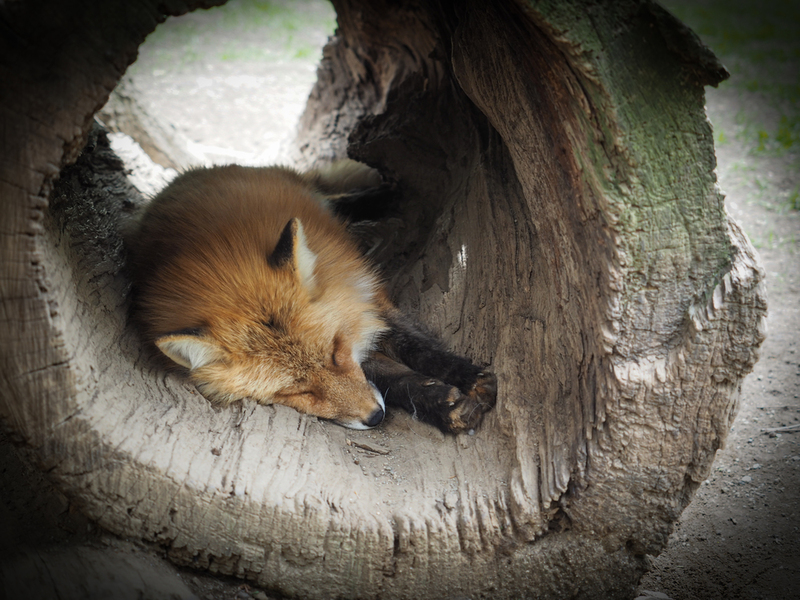 There were foxholes dug everywhere and lot of manmade places for them to nap. Made me think that maybe I want to come back as a fox in my next life. They’re super cute, have luxurious hair, and nap a lot—I couldn’t ask for anything more!